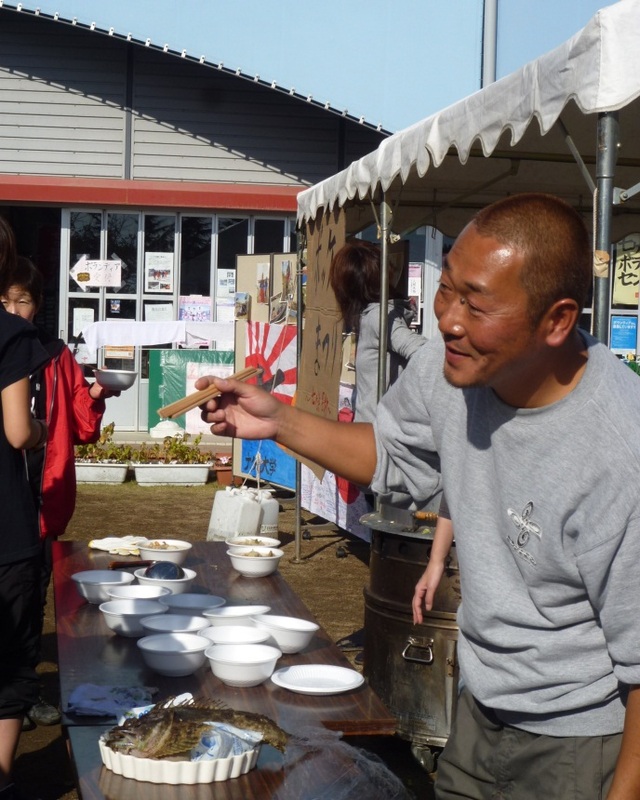 My name is Matsunaga, a staff member of the Kizunakan VolunteerCenter at Shichigahama. Do you know what bokke is? Well, let me explain it to you even though Iam from Kyushu, which is far from Shichigahama and I’ve been here for only alittle over four months. 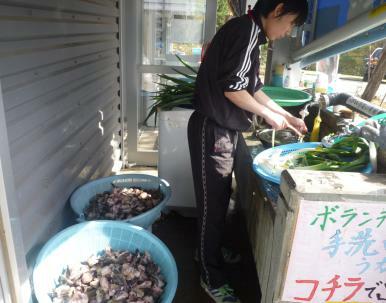 Bokke is alocal fish which is a specialty here in Shichigahama. Its scientific name is kemushi kajika it is not a k emushi( the Japanese wordfor a wooly worm) ； it is a fish. Please take a look at the photo of bokke.! 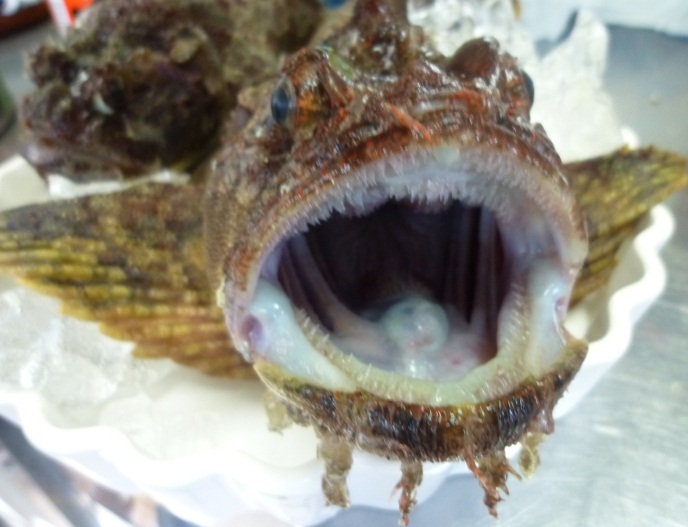 It looks like an okoze (a type of stingfish), doesn’t it? It tastes light, and youcan enjoy all parts of it, including its stomach, liver and roe. You can have itfried or cooked in soup, but its sashimi is fantastic! I hear that bokke festival used to be held in Shichigahama every year, but thisyear it was decided to be held in Tagajo, a nearby town, because of thedisaster. 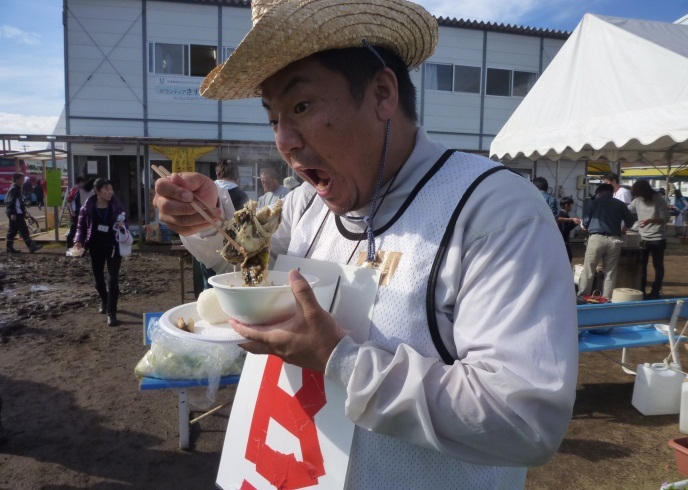 However, Mr. S, a local fisherman, wantedpeople to eat the bokke here inShichigahama, because bokke is its specialty.His strong determination led him to take the initiative and hold the bokke soup festival in Shichigahama. The preparation started at 9 am on the festivalday. We estimated that 200 people would come andMr. S brought 100 bokke and some congereels. 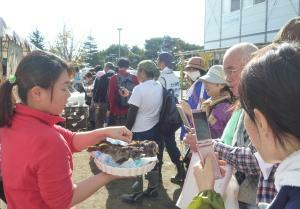 We found, however, that the number of volunteers had already amounted to400. We all bustled about preparing meals. The photos below show Mr. S. cleaning fish (left)while volunteers were cutting vegetables forthe bokke soup (right). Somehow we managed to launch the bokke soup festival at noon on schedule.Messages of encouragement had also been sent from Oita, my home town. 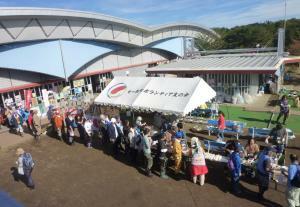 A lot of people came to the bokke soup festival! We explained to those who were unfamiliarwith bokke. Mr. S. was very pleased to see theparticipants eating bokke with a goodappetite. What thoughts had driven Mr. S, to host thebokke soup festival here? 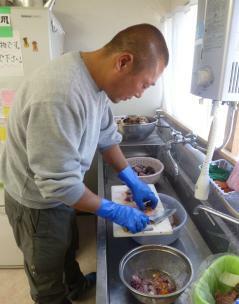 As Shichigahama is a fishing town, hebelieves fishermen, like him, must work hard toward reconstruction. He wanted to do something in return for thekindnesses he received from those who helped him after the disaster. As a fisherman he takes great joy in havingpeople eat the fish he catches. In this way local residents are workinghard together toward reconstruction. They are moving ahead step by step. I will keep on reporting their challenges so that everyone,and not just those of us who are here, will know about their efforts. While I helpedwith the event organization, I got to know Mr. S. I was moved by his sincerityand passion. I have know him only a month but I respect him very much. I will keep on supporting Shichigahama. 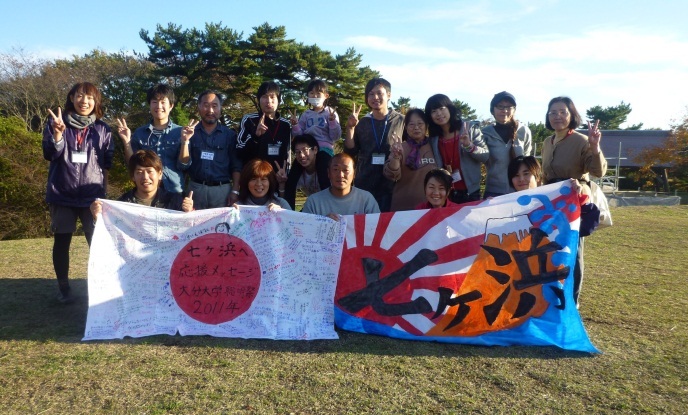 Together with Shichigahama- we are moving forward! I really enjoyed reading about the bokke soup festival. The pictures are fantastic! 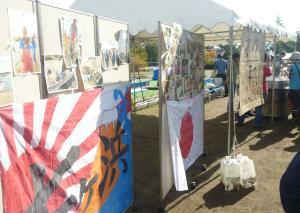 .... especially the tairyobatawa picture at the end. It is joyful to see the kana written in celebration of the festival. This village must have a strong sense of community. How wonderful to have community members like Mr. S.